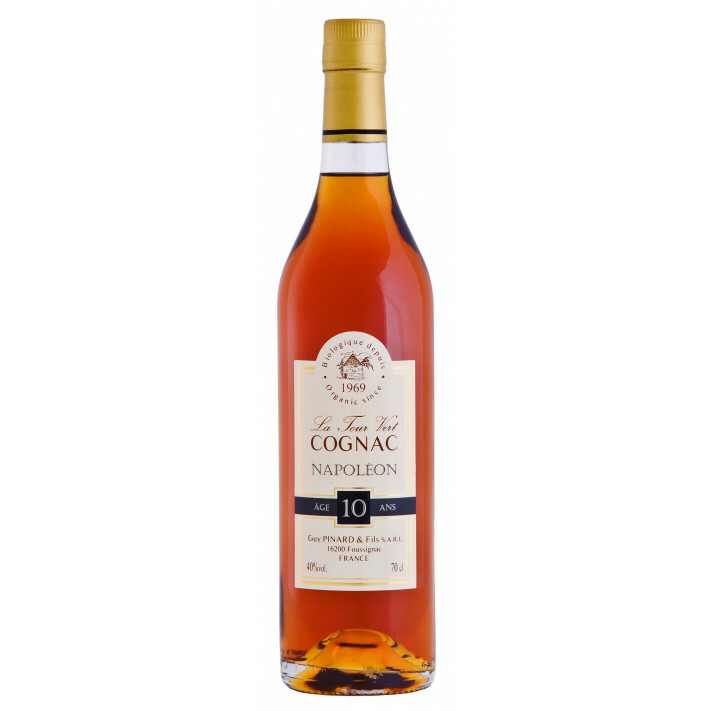 The Guy Pinard Napoleon 10 Years Cognac has a title that explains exactly what it is... Each component that's gone into creating this solely Fins Bois blend has been aged for around 10 years. Interestingly, this cognac is made principally from the Ugni Blanc grape, but with the addition of the slightly tricky to grow Folle Blanche to add a wonderful floral character. Guy Pinard's cognacs are totally organic, made from start to finish from the family's 17 hectares of vineyards in the village of Foussignac, near Jarnac. And they've done so since the year 1969. The cognac is presented in a traditional style cognac bottle with simple, classic label. This is a great cognac that represents great value for money. And a great choice for anyone who enjoys organic cognac.